Comment: Need spring cleanup, red mulch, weeding, edging. Would like separate estimate for laying dirt and sod around cherry tree in front yard. Separate estimate for gutter cleaning. Comment: Need lawn fertilizing, weed control, aeration and reseeding support. Comment: I need someone who can mow my lawn, remove the clippings (i dislike when cut grass is left on the lawn. it irons and looks terrible), edge the lawn, and trim hedges the needed. Comment: Leaves have accumulated on three roofs and a balcony. Also. one side of my driveway needs to be evened off with dirt at the edges, an leaves blown down adjacent hill. Silver Spring Lawn Care Services are rated 4.71 out of 5 based on 3,101 reviews of 62 pros. 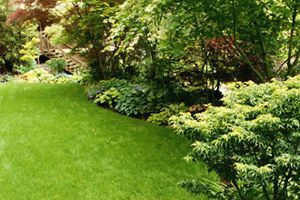 Not Looking for Lawn & Garden Care Contractors in Silver Spring, MD?